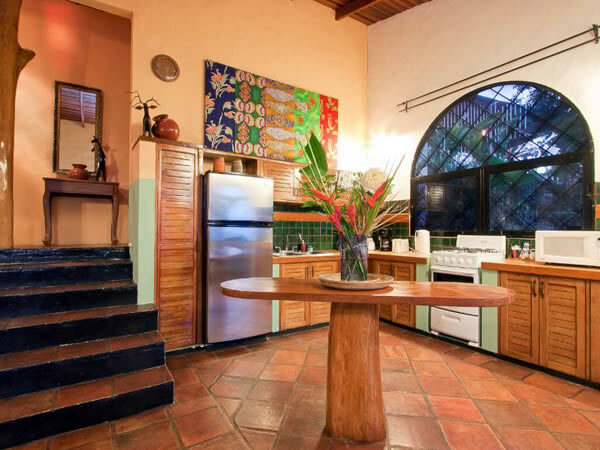 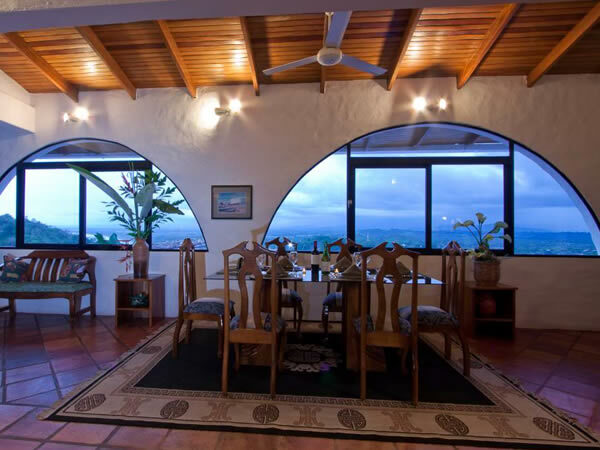 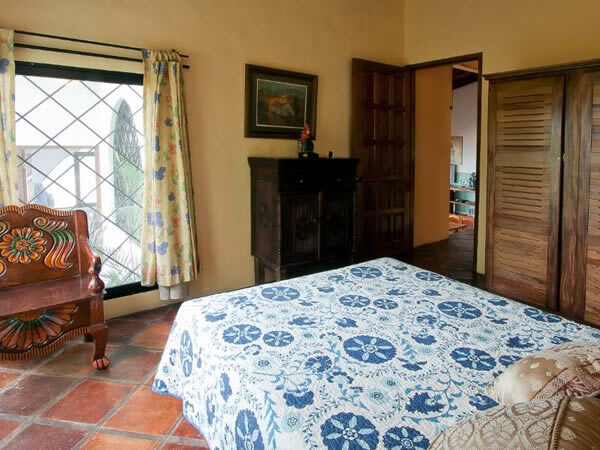 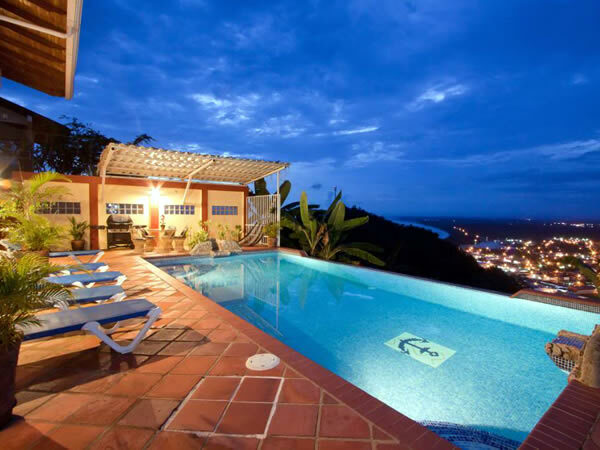 Casa Azul is the ideal affordable option for your Costa Rica vacation! 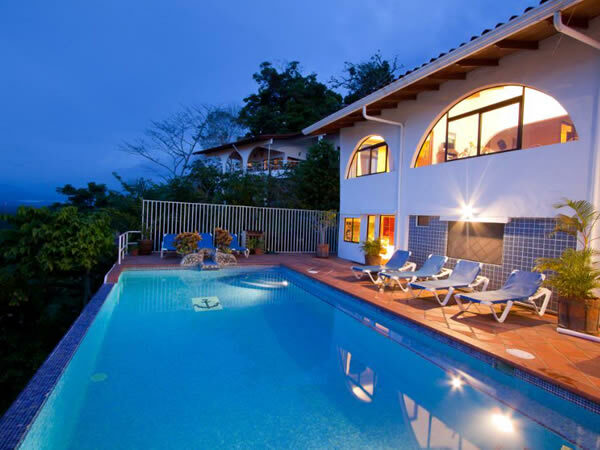 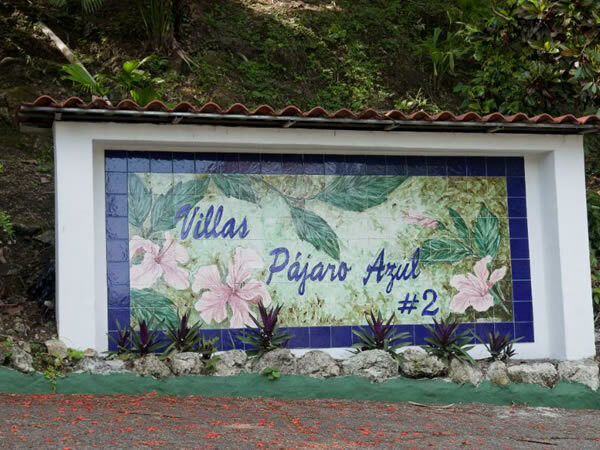 Located not far from the new Quepos Marina and only minutes from fabulous Manuel Antonio National Park, this is one of the few homes in the area that offers both fabulous ocean views during the day and excellent views of the twinkling lights of Quepos town at night. 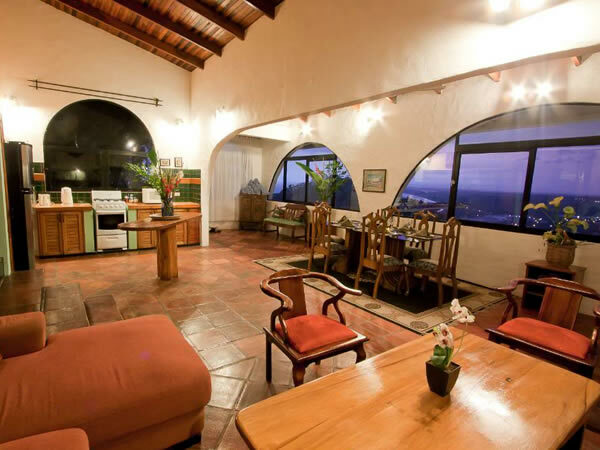 Hosting guests since 2001, this spacious andcomfortable vacation rental home is located high on a hills of the exclusive Pajaro Azul complex and offers a huge private infinity edge pool and ample deck space for entertaining. 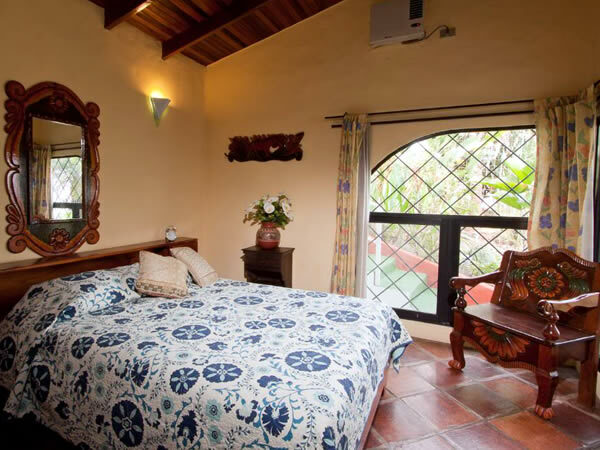 Casa Azul consists of 3 spacious bedrooms on the main floor of the house, as well as 1 small private bedroom and bathroom on the pool deck level featuring its own private entrance. 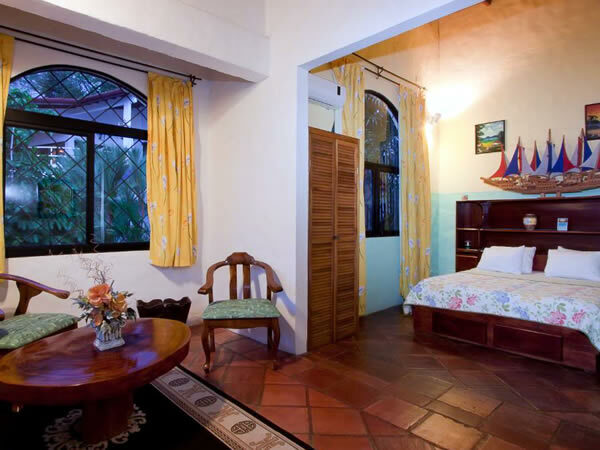 This room is perfect for older children, in-laws, or couples looking for a little extra privacy during their visit. 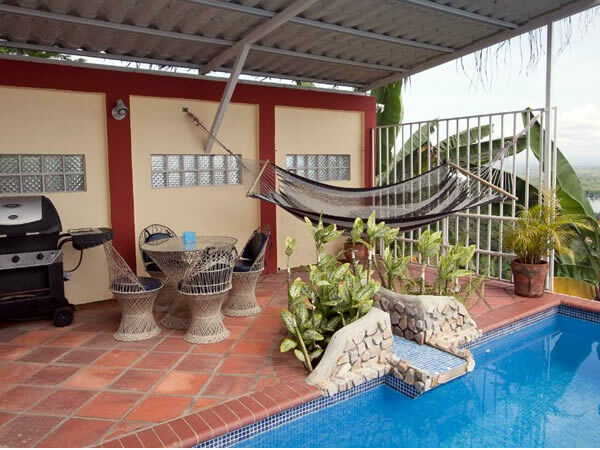 This extra room also serves as an excellent pool room when hanging around the large outdoor pool deck area. 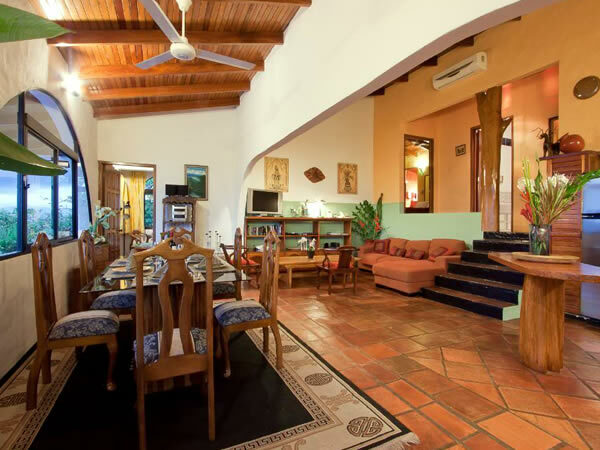 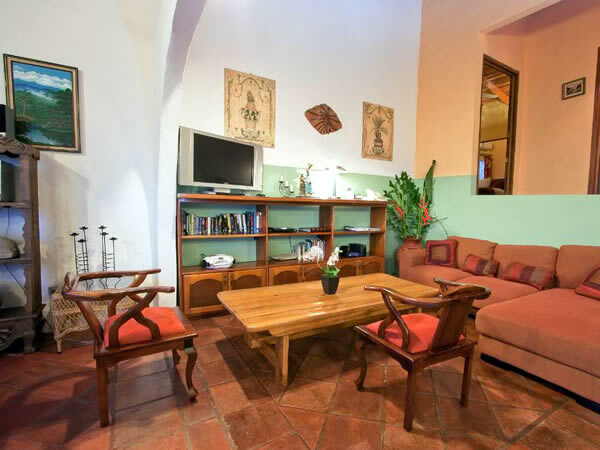 As a guest of Casa Azul, you not only have a personal concierge/property manager to assist you both before and during your stay, but you also receive daily maid service (6 days per week) included in the affordable weekly rental rate. 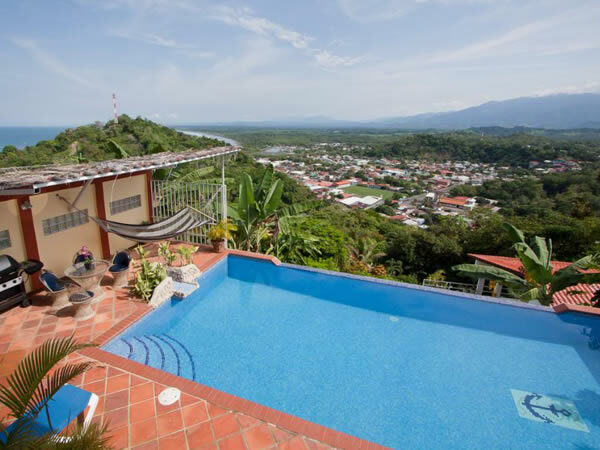 Weekly Rates range from $1600-$3500 depending on season. 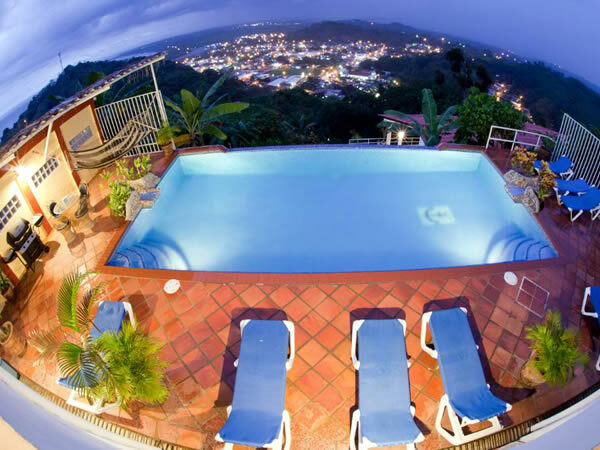 Nightly rates start at $250. 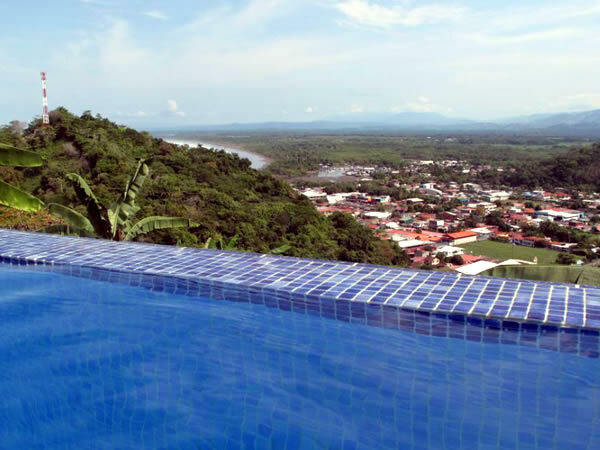 Contact us for any current discounts or specials we may have for selected nights!